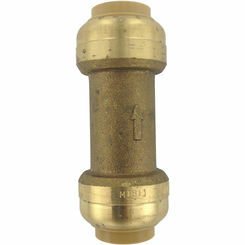 Take advantage of discount check valves here at PlumbersStock. 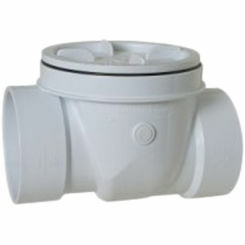 Also known as non-return valves, they are useful because they only allow fluid to flow through them in one direction. In other words, they prevent backflow. 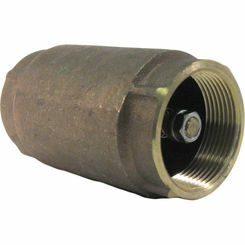 They are used in a variety of plumbing and irrigation applications. 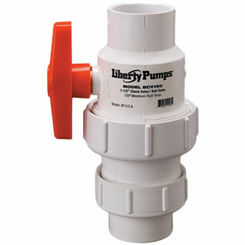 This valve can be essential to your system, especially when it comes to your drinking water or cleaning water. Our Sioux Chief, GROHE, Honeywell, and Woodford water check valves can help prevent contamination by keeping dirty water from flowing back through the system. 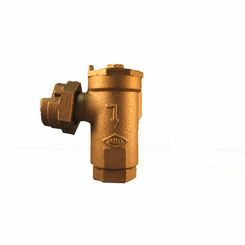 Non-return valves come in all shapes and sizes but in most cases, they are relatively small, and they usually function automatically. Rarely will you find one that is controlled by hand. 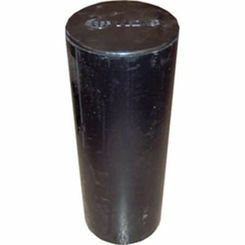 This valve is very useful in a considerable amount of applications. 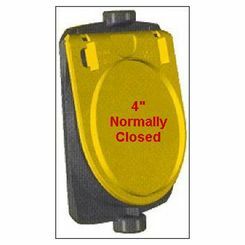 They stop flooding in water systems such as sump or sewage pumps. They can act as a protective device for mechanics that will break with reverse flow. 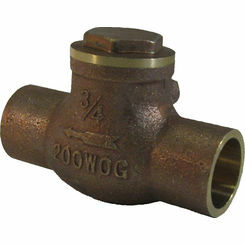 Although there are various types of check valves, all share the same primary function: stopping the backflow of water. 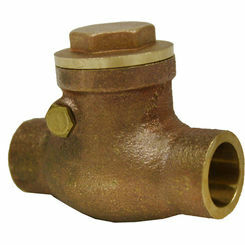 Multiple valves can be used in a series to keep a constant flow or to keep your system leak-tight. 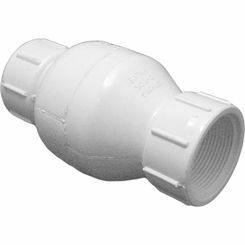 The double ball-check valve is where there is a two ball/seat combination linked together in the same body to ensure a leak-tight shutoff when blocking reverse flow. The different series combinations can be used in most systems. Check valves are typically used in certain types of pumps such as diaphragm or metering pumps; they are most commonly used on the inlet and outlet lines of the pump. 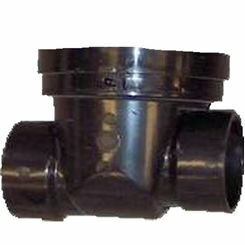 There are industrial check valves, such as those used in chemical and power plants. 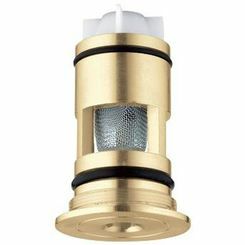 They are especially useful when there are several gases, mixed into one gas line. To prevent the mixing of the gases a non-return valve is installed in each one of the individual gas streams, which can aid in avoiding the hazard of potential explosions. 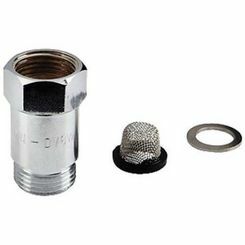 Then there is the household or domestic appliance; some types of irrigation sprinklers and drip irrigation emitters have water check valves built in to stop the lines from draining while the system is off. 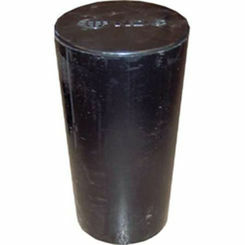 They can be used in heating systems, hydraulic jacks and some dishwashers have them. 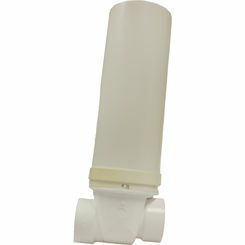 They can also be used in rainwater harvesting systems, which pump rainwater into the main water supply. 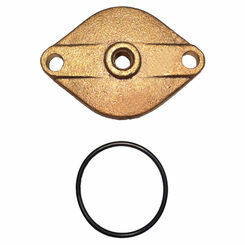 Though small, this type of valve has a key job to perform. Something as simple as keeping water and gas lines from crossing is invaluable. Make sure you are appropriately informed on your purchasing decision. 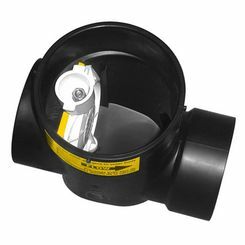 If you have any trouble finding the right water check valve, please contact our team of knowledgeable professionals. They can help you answer all the your questions. Do you need high-pressure or low-pressure check valves? Do you need more than one valve for your system? We can help you answer these questions and more. 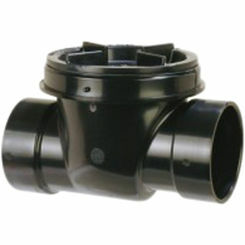 Save on every kind of fittings at PlumbersStock.